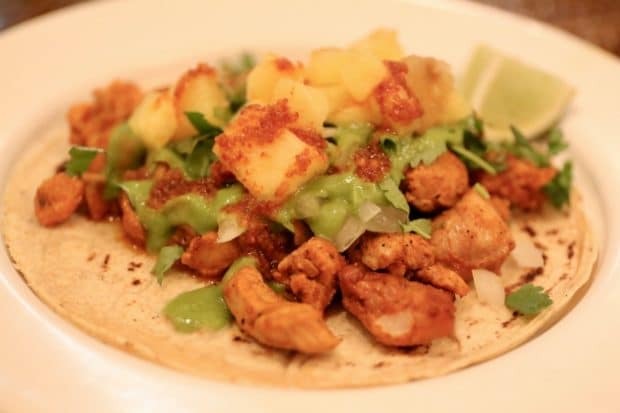 Campechano Toronto was recently ranked as one of the top restaurants in the city by Toronto Life. 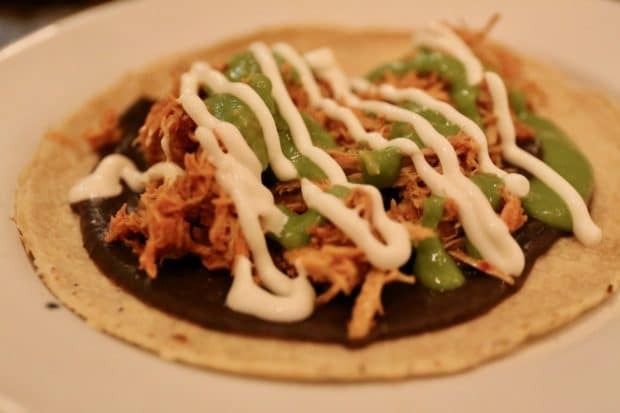 Located at Adelaide and Portland, this tiny tanqueria is one of Toronto’s best Mexican restaurants. 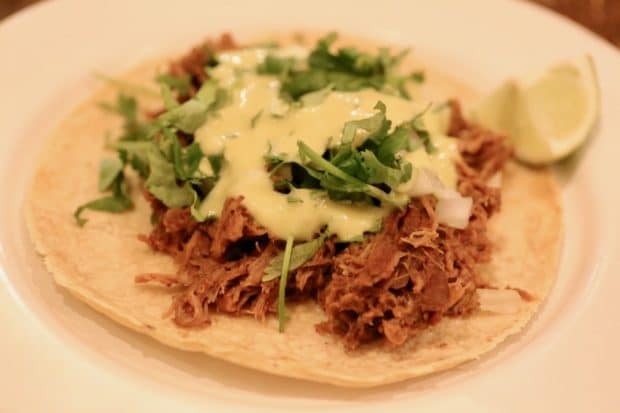 Campechano in Spanish means no fuss. 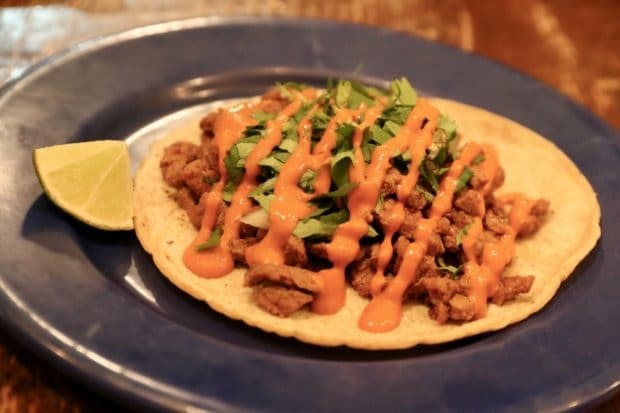 Expect to enjoy an authentic Mexican meal in a casual atmosphere where taco’s are the star of the show. 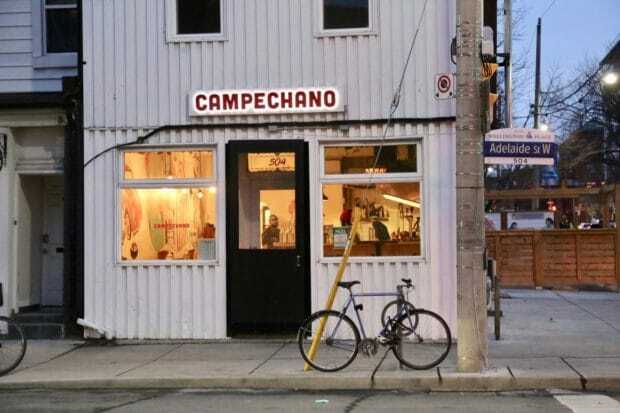 Campechano Toronto opened its doors in November 2015, taking over the Sadie’s Diner space. 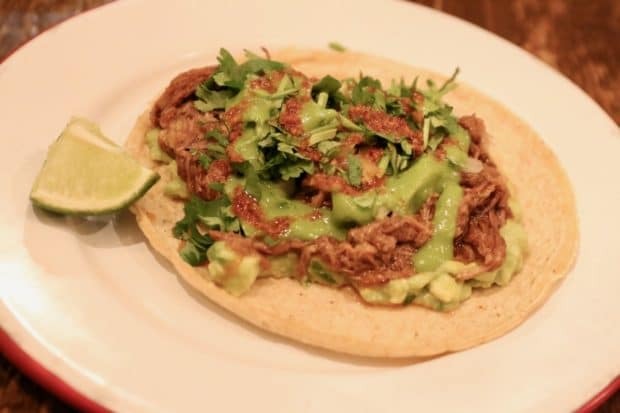 Daniel Roe and Raena Fisher oversee the day to day operations while the restaurants third owner, Javier Flores, operates a number of taco shops in Mexico City. 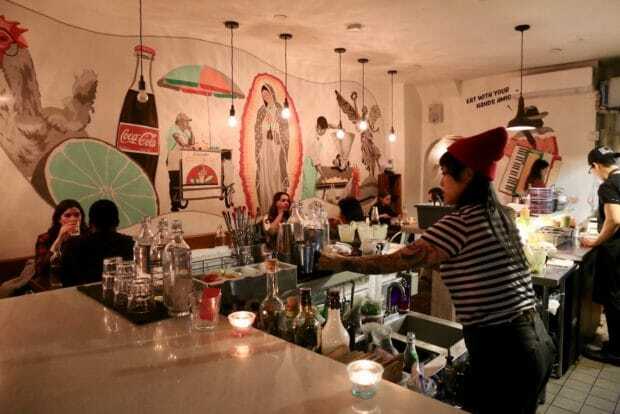 Campechano Toronto’s dining room walls are covered in Mexican murals. 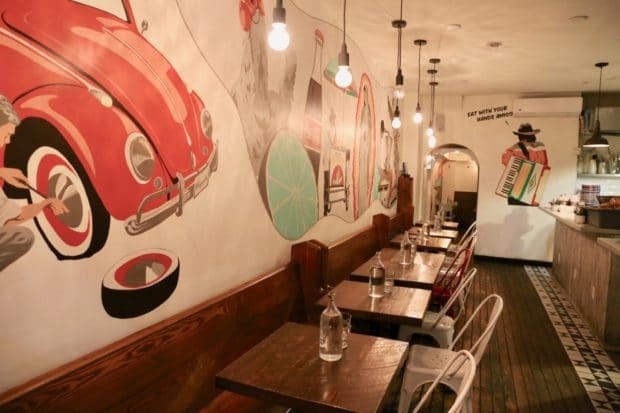 The casual restaurant is organized into three spaces and seats 45 diners comfortably. Step inside and you’ll find an open concept kitchen that overlooks the main dining room. Skip to the back and you’ll find a more intimate dining space as well as the restaurants bathrooms. 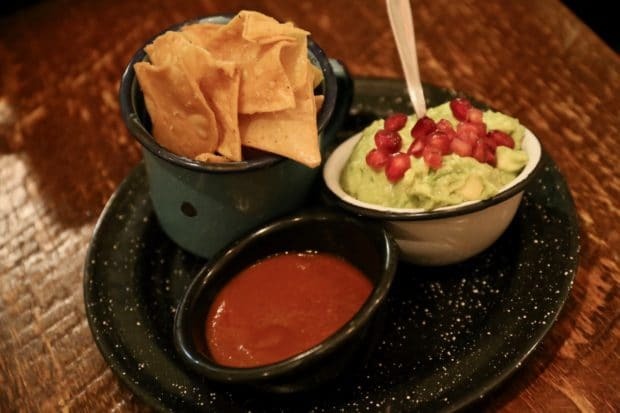 During the warmer months of the year Campechano’s patio is a perfect spot to sip margarita’s and scoop through guacamole with friends. Campechano’s eye-catching murals were designed by Luke Pollard and feature elements found all over Mexico. 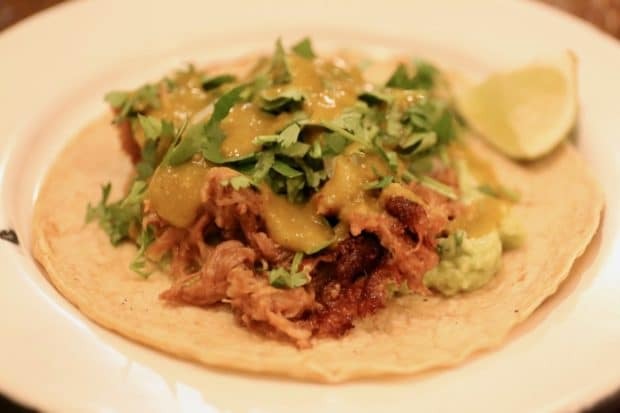 The owners wanted to create a casual vibe where a diverse group of foodies could gather to celebrate the taco! The restaurants talented bartender works in a wee nook inside the kitchen. 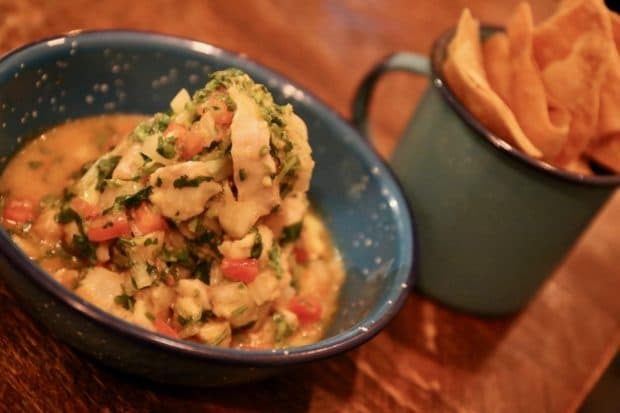 There are two or three stools tucked under the bar top, making it a perfect spot if you’re looking to grab a quick bite and have a penchant for people watching. The Campechano bar offers creative craft cocktails, Mexican beer as well as wine and sweet sangria. 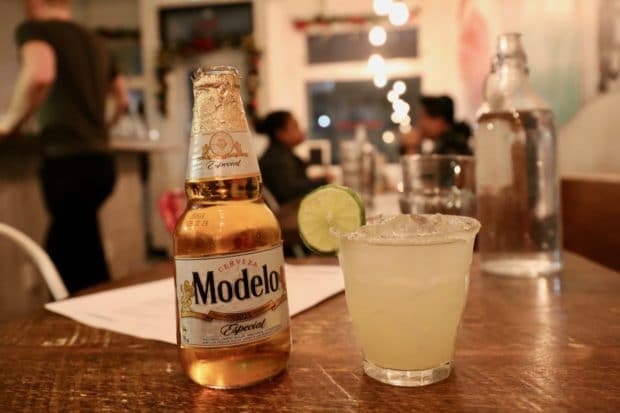 Mexican beer and margaritas at Campechano Toronto. 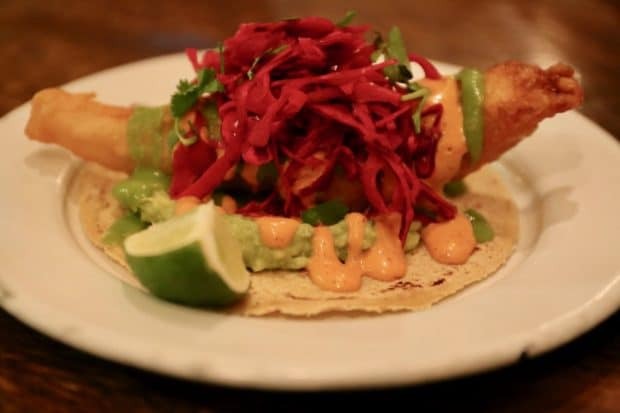 Campechano’s menu is gluten-free and includes guacamole, ceviche, sope, and a parade of 8-10 tacos. 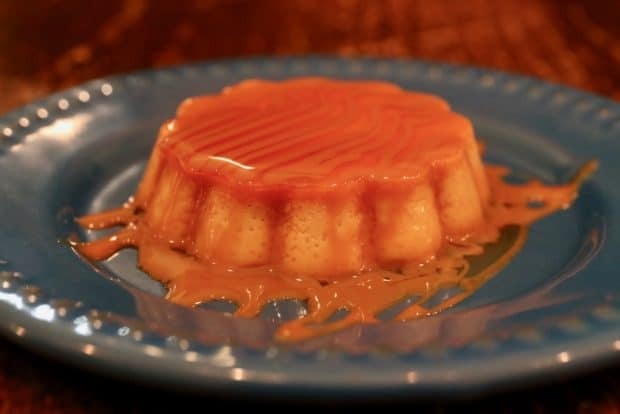 One dessert, Flan de Caramelo, offers those with a sweet tooth a satisfying finish. 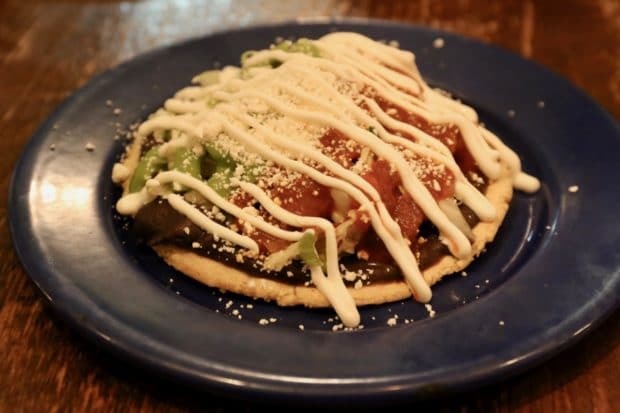 Sope with thick tortilla, beans, lettuce, and cheese.